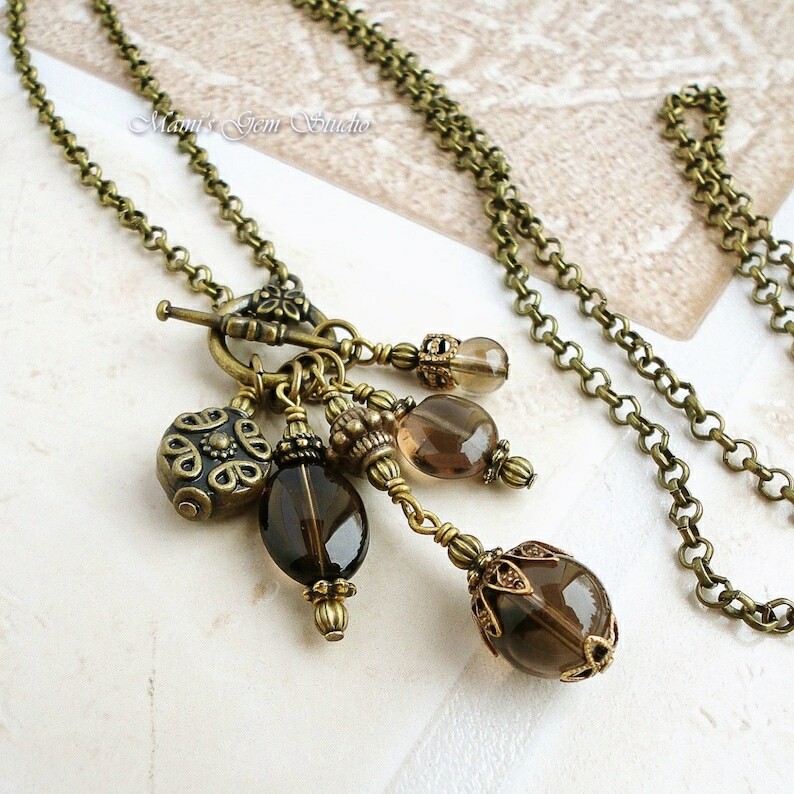 This gorgeous necklace features a cluster of drops made with Smoky Quartz gemstone high quality beads in different shapes and sizes in a translucent mystical grayish brown hue, which are adorned with antiqued finish metal beads and spacers to bring a classy vintage look. I carefully hand-wrapped the drops in antiqued pure brass wire to dangle from a pewter toggle clasp with 28 inches long antiqued solid brass rollo chain. All metal materials are lead-safe. Super fast delivery for this beautiful necklace.